In 1652, at the age of eighteen, a wealthy Frenchman named Jean de Thévenot finished his studies at the University of Paris. He celebrated his achievement with a grand tour that would take him, not just through Europe, but unexpectedly half-way around the world, where among other things he would find glass being made. In Rome, he befriended fellow Parisian, Barthélemy d'Herbelot, where they conspired to travel together to the Levant. 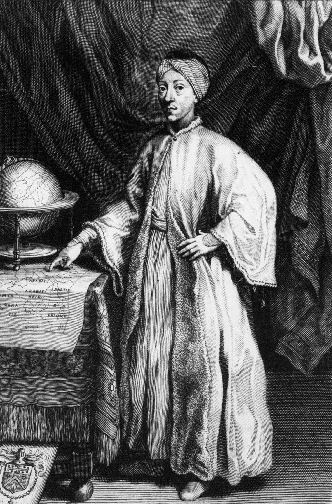 Circumstances detained d'Herbelot and after waiting five months in Malta, Thévenot gave-up on his companion and set out on his own to Constantinople. Four years later, in 1659. He returned home only to prepare for an even more epic adventure, one that would last until his 1667 death in Azerbaijan from an accidental pistol shot. Thévenot kept a travel diary, he picked up languages easily and endeavored to blend-in to local culture as much as possible. Throughout his travels he made keen observations of people, customs and of the natural world around him. He published a volume of his adventures to great acclaim, two more would follow after his death. In 1687 his work was translated into English, when it found a whole new audience. Of special interest to us are his numerous observations about the glass trade. This was a subject to which he had no special interest or connection, but his natural curiosity and communication skills open a window into an otherwise poorly documented piece of the glass history puzzle. One implication from this passage is that the named Sheik Bandar ran a glassmaking operation in Aleppo. It is interesting to note that Florentine glassmaker Antonio Neri had an uncle, his father’s brother Francesco, who was a merchant living in the Tuscan enclave inside Aleppo about sixty years earlier. In the next installment we will continue to follow the thread of glassmaking references in the chronicles of Thévenot’s travels which take him to Persia, where he finds a glassmaking center. Jean de Thévenot, “The Travels of Monsieur Thevenot Into The Levant” (London: H. Clark, 1687) v.1, p. 6.